Pol Tarrés in action in section 3. 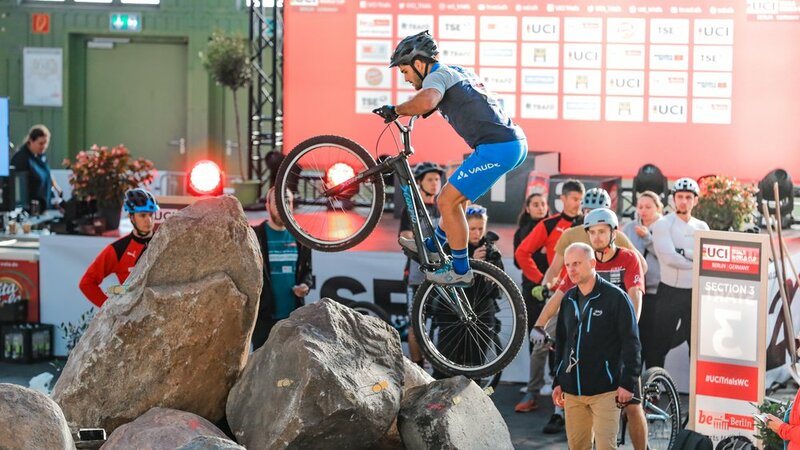 For the first time ever a Trials World Cup was held at the capital of Germany, Berlin. 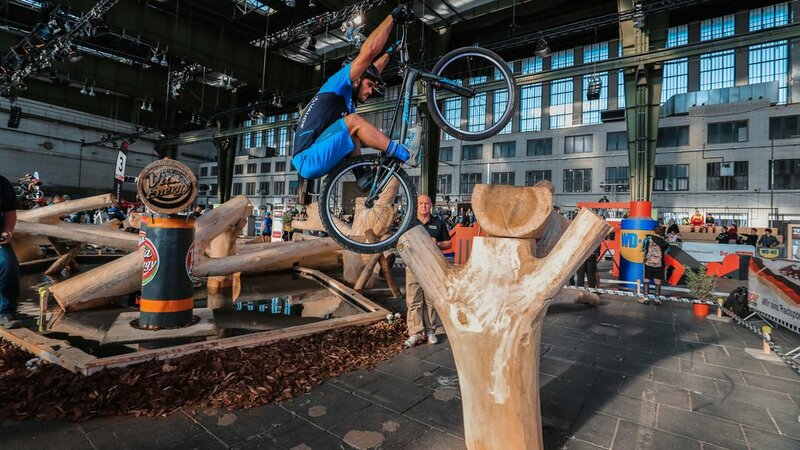 The fourth and final round was the last weekend ( 14 - 15 October ) at the Tempelhof airport, a very well known and iconic venue. The place really looked amazing, the organiser took care of every detail, the tape, the arrows and the decoration of the sections. 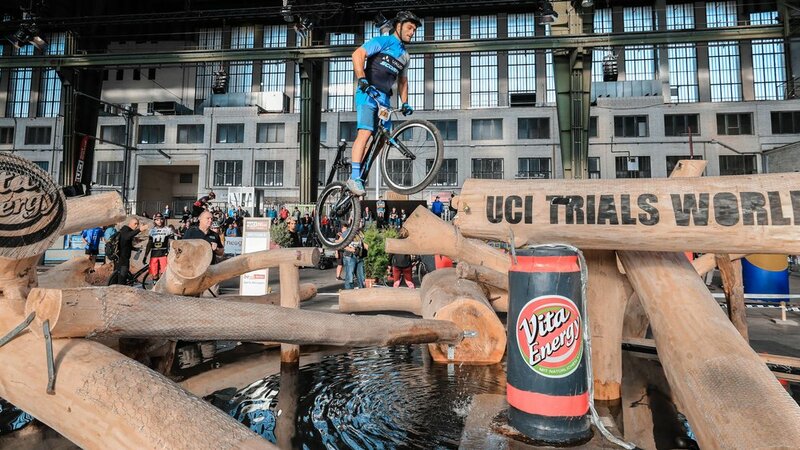 As usually there was a water section that gives more spectation for the public and more pressure to the riders. Tarrés started the first section with a spectacular 0 even though it was really long ( it has 11 gates ), and he could finished in time ( less than 2 minutes ). The next section he did a stupid mistake giving him the maximum points. He followed on in the first lap and ended with 17 points and 13 position. He commented that he was not happy with the mistakes of the sections 4 and 5 and that it would cost him the final. Despite the first bad lap he faced the second really focused and he did not commit the mistakes of the first lap and he finished all the sections but one, finishing the second lap with 12 points. Finally, Tarrés did 29 points in total ending up at the 8th position. 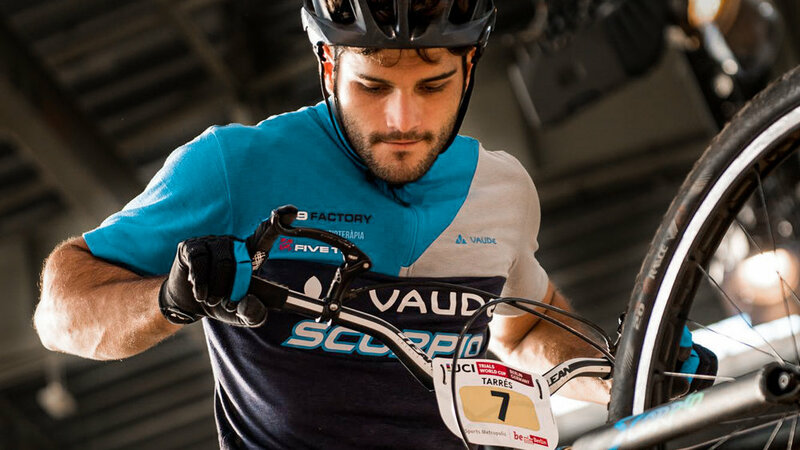 However he finished 7th in the overall of the UCI Trials World Cup 2018. 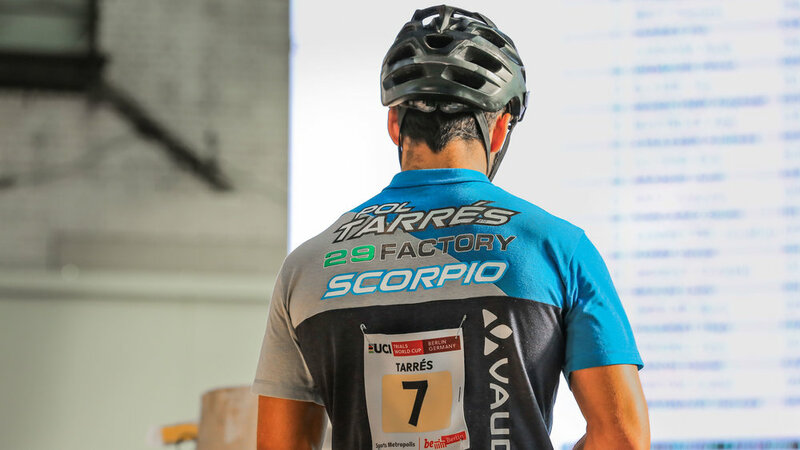 From November 5th to 14th, the national spanish team will be in China for the UCI Urban World Championships and Tarrés is in the team, in Elite 26” category. As he says it is already the best season ever so far so we will see what he can do at the last appointment of the season.